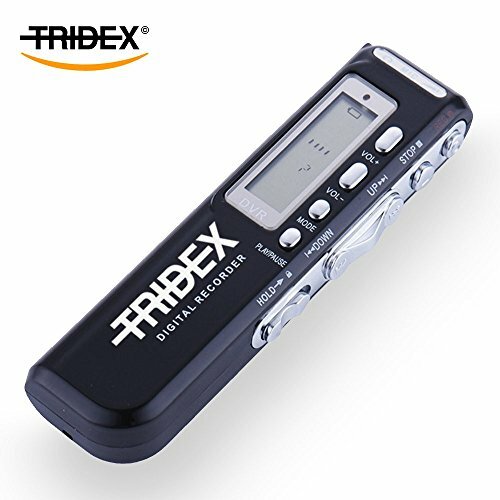 Digital Voice Recorder, 8GB Dictaphone, USB Sound Recorder with MP3 recorder, HD recording, Easy to work, MP3 player recorder, Voice Activated, High Quality, Wireless, Sound Recorder with LCD screen, Suited for Meetings, Lectures, Interviews, Class, Music Recording, Noise Cancelling, Phonecall recording - By TRIDEX | The Best Spy Tech Store Online! 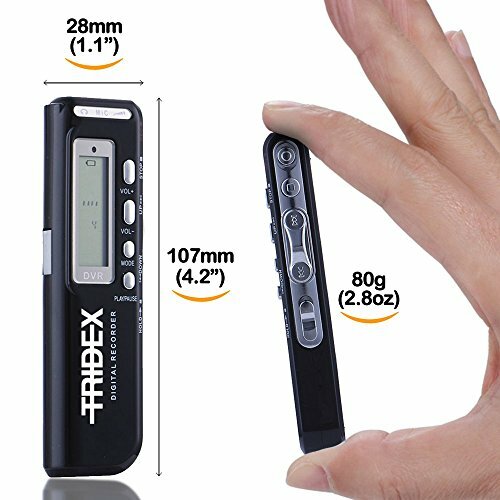 LIGHTWEIGHT AND COMPACT, at 80g and 107mm in length, our voice recorder can be discreetly hidden in a pocket or can be placed unobtrusively on the desk during a meeting. 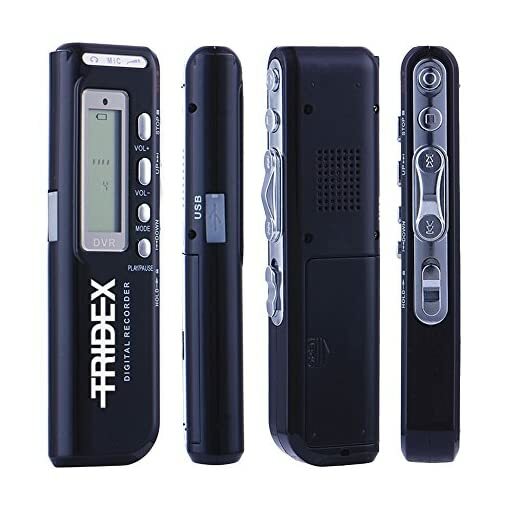 VERSATILE USAGE of the recorder for interviews, music recording sessions, lectures, meetings and more; delivering High Quality 192Kb/second recordings. Perfect for professionals, students and hobbyists alike! 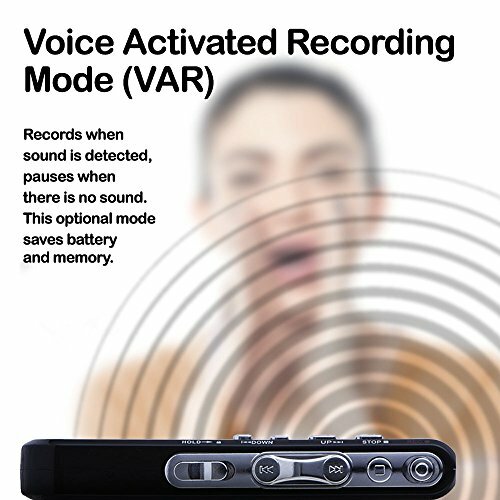 VOICE ACTIVATED RECORDING mode will only record when sound is detected, saving battery and memory as the recorder will stop and start automatically. 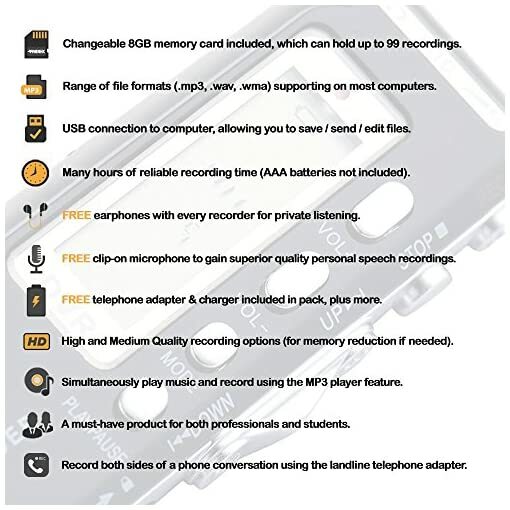 Our telephone adapter also allows you to record both sides of a telephone conversation! 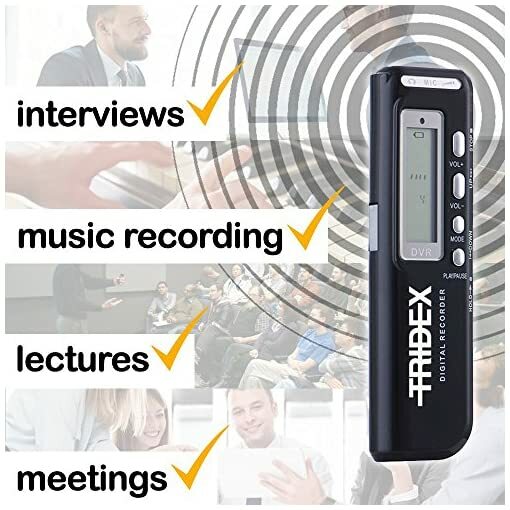 The TRIDEX Digital Voice Recorder is a simple to use, versatile piece of equipment which is essential for students, professionals and hobbyists worldwide. With revolutionary voice-activated technology, high quality sound (up to 192Kb/second) and 8GB of built-in interchangeable memory, this product is the right choice for you to improve results and personal records. 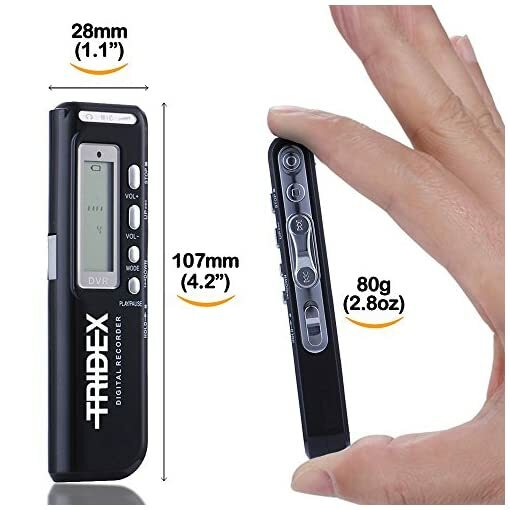 As seen in the images, our voice recorder is extremely portable- weighing a mere 80g with a length of 107mm; the device can easily be discreetly hidden in a pocket. We want our products to be as widely applicable as possible to our customers, so we have included a range of file formats, such as .mp3, .wma and .wav. At TRIDEX, we understand that the modern professional, as well as the modern student, will use our recorder in a number of versatile ways throughout their day. 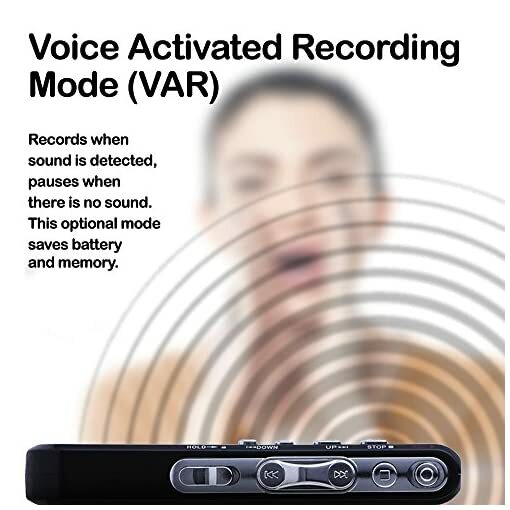 This is why we have developed the Voice Activated Recording mode, which will only record when it detects sound. This will save battery as well as memory as the user will not have to waste it during silences or breaks- the product will now do all the stopping and starting automatically. Have you ever wished that you had a record of that one important phonecall where you missed some key details? Or forgotten the times of that crucial meeting you arranged? Well with this product, this is no longer a concern! 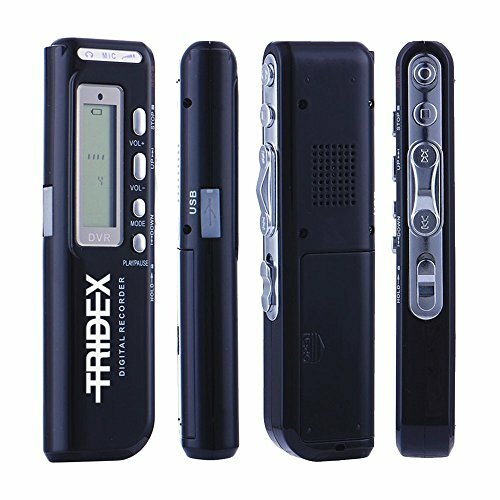 With our free included Junction Box and telephone cable, you are now able to record both sides of a phonecall with impeccable quality. 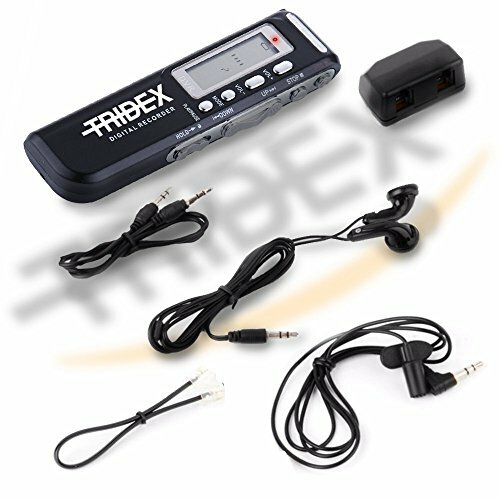 The customer is the priority at TRIDEX; we always have your best interests at heart, and will personally answer any questions & rectify any unlikely issues you may have. Get one while stocks last! A RANGE OF FILE FORMATS, such as .mp3, .wma and .wav. are included for maximum combatability. 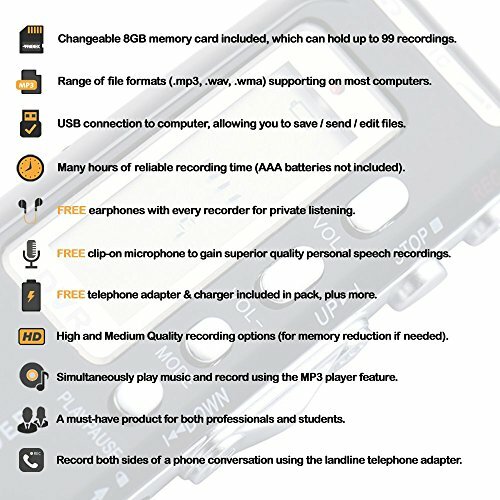 Up to 99 recordings can be stored at once, with many hours of recording per memory card! These can be transferred to a computer for saving and editing. FREE ITEMS in the product package, including a TRIDEX Voice Recorder, a pair of earphones, a microphone, a USB cable, an audio AUX cable, a Telephone cable & Junction Box, and a User Manual.